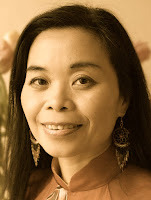 A Year of Being Here: Nguyen Phan Que Mai: "The Poem I Can't Yet Name"
"The Poem I Can't Yet Name" by Nguyen Phan Que Mai, translated from the Vietnamese by Nguyen Phan Que Mai and Bruce Weigl. Text as published in The Secret of Hoa Sen: Poems (BOA Editions, Lannan Translations Selection Series, 2014). 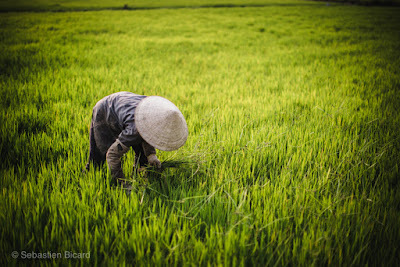 © Nguyen Phan Que Mai. Reprinted by permission of the poet and BOA Editions. 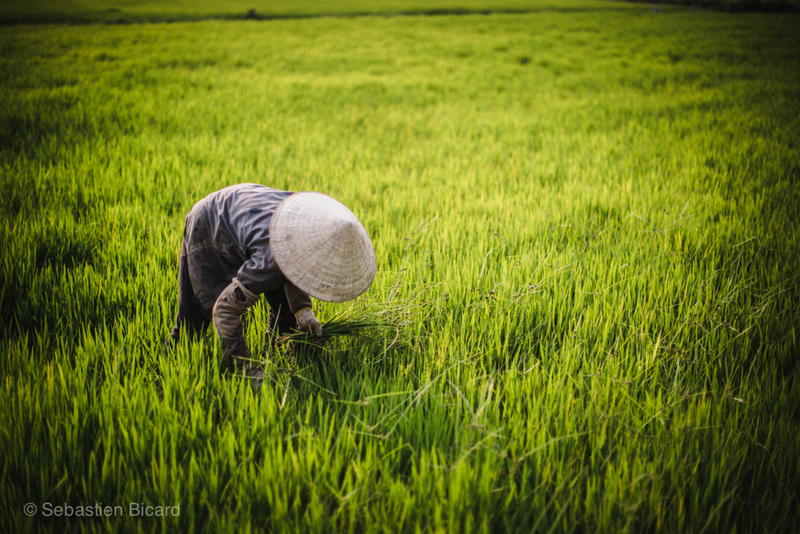 Art credit: "A woman works in the rice fields in the central highlands of Vietnam, March 2014," photograph by Sebastien Bicard. Author photograph: Don Usner (digitally altered by curator). In the beginning, nothing comes. In the middle, nothing stays. In the end, nothing goes. Be well in your continuing travels. What a dear message! It has been a difficult decision to end this project, but part of my "dance." I wish you all the best as you continue your dance, in the spirit of Milarepa. I bow to you where our humanity meets.